November 2018 edition in the "Things You Should Know!" series. Keep your kids up to date on current events with these short informational pieces. This brief & informative informational piece can serve as a lead-in to a discussion of the destructive wildfires in California's recent years, including the Camp and Woolsey fires. 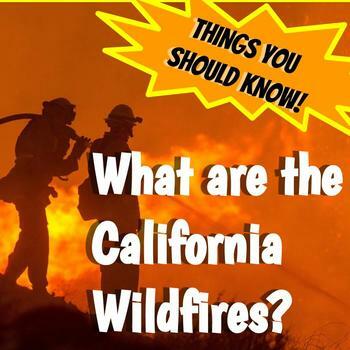 Included in this download is a one-page reading comprehension worksheet that tells about the causes of the California wildfires, techniques firefighters use to combat the blazes, and the dangers associated with wildfires.